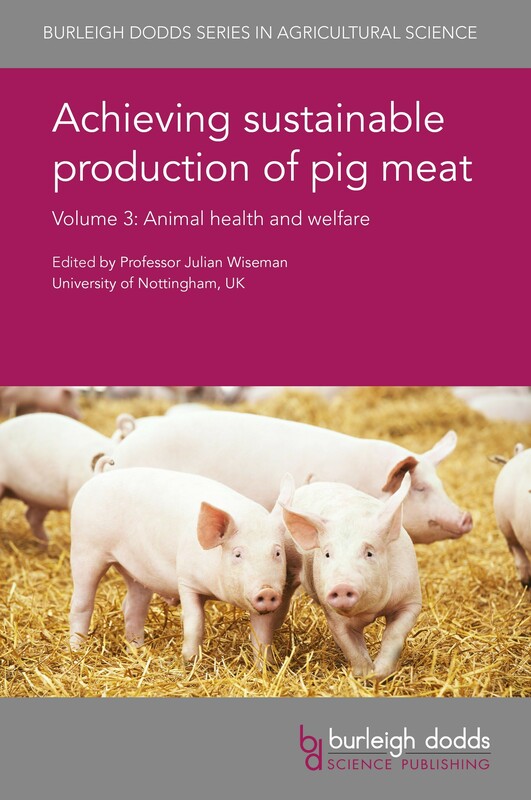 This volume looks at animal health and welfare. Part 1 reviews the main diseases affecting pigs as well as ways of managing diseases and boosting pig immune function. Part 2 reviews what we know about pig behaviour and appropriate welfare standards. It also assesses the welfare of different groups of pigs, from gilts and sows to weaned piglets and finishing pigs, as well as transport, lairage and slaughter. With its distinguished editor and international team of expert authors, this will be a standard reference for researchers in swine science, producers, government and other organisations involved in supporting pig production. It is accompanied by two companion volumes which focus on safety, quality and sustainability as well as animal breeding and nutrition.